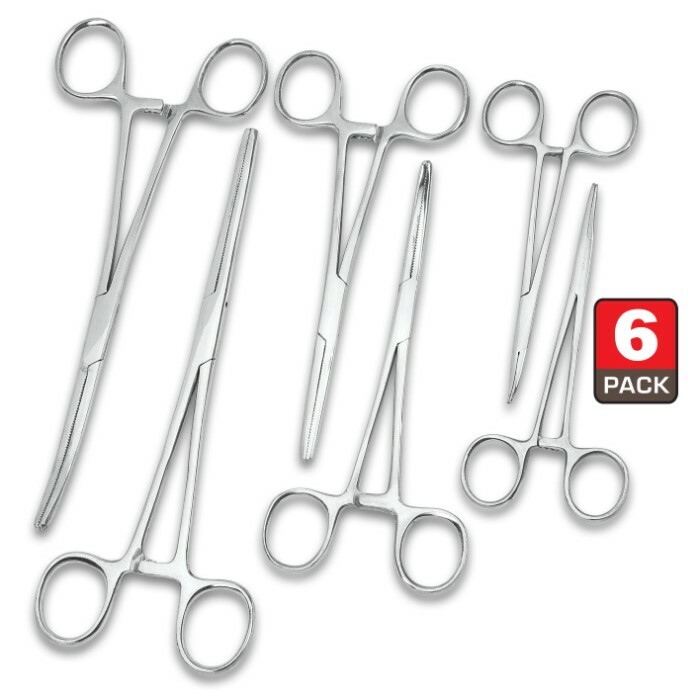 Six-Piece Ultimate Hemostat Set - Stainless Steel Construction, Serrated Tip, Self-Locking Feature, Variety Of Uses | BUDK.com - Knives & Swords At The Lowest Prices! 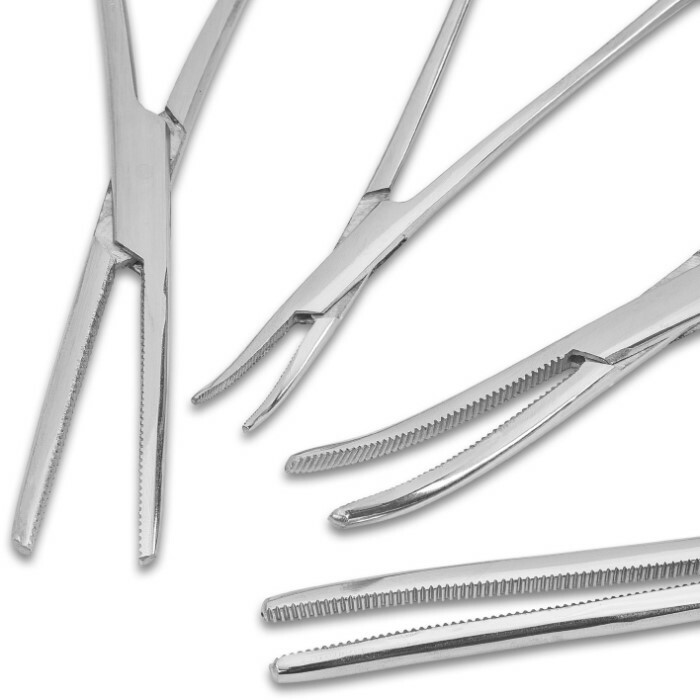 You’ll find an endless number of tasks to use our Six-Piece Ultimate Hemostat Set for including crafting, cleaning, sewing, auto repair and more! 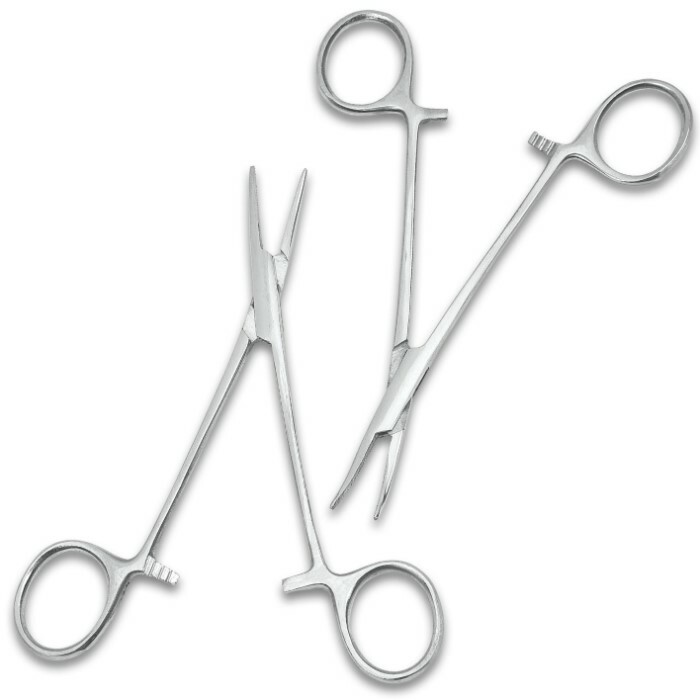 Each hemostat is made of rust-resistant stainless steel is self-locking and features a serrated tip for a better grip. Their low profiles allow them to reach into tight spaces and act like a third hand with the easy, self-locking feature. The six-piece set includes straight hemostats in sizes 8”, 6 1/4” and 5” and curved hemostats in sizes 8”, 6 1/4” and 5”.